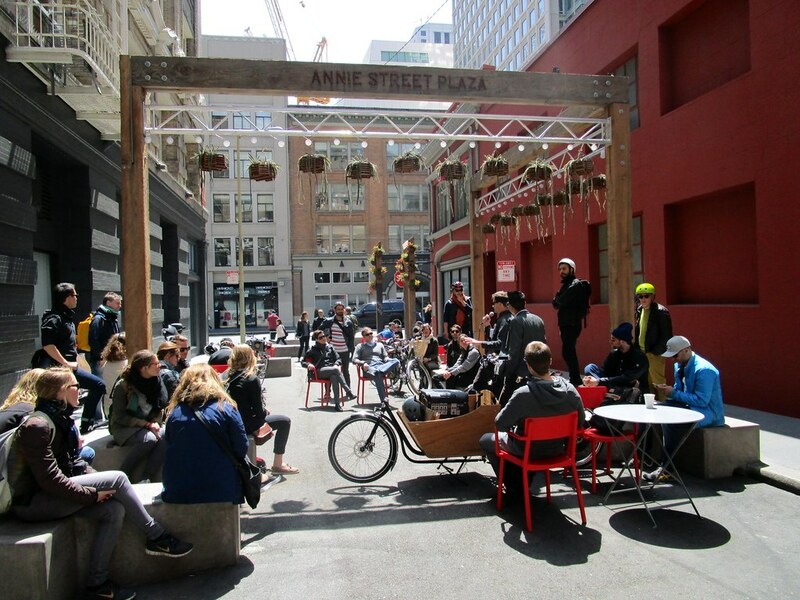 An alleyway turned into a public plaza. 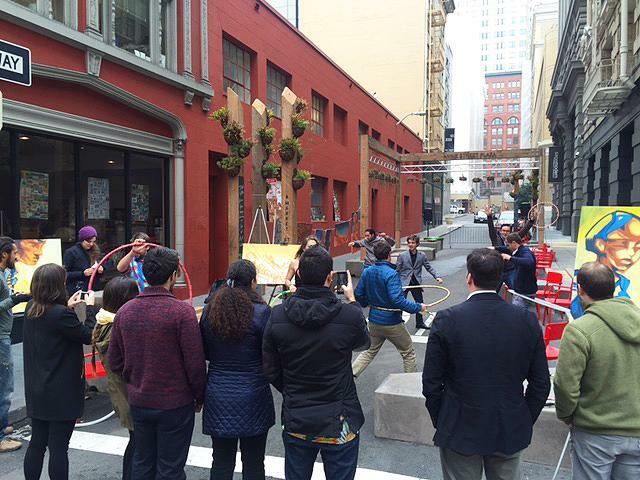 Annie Street was an important pathway for pedestrians in downtown San Francisco, connecting Market Street and Mission Street. 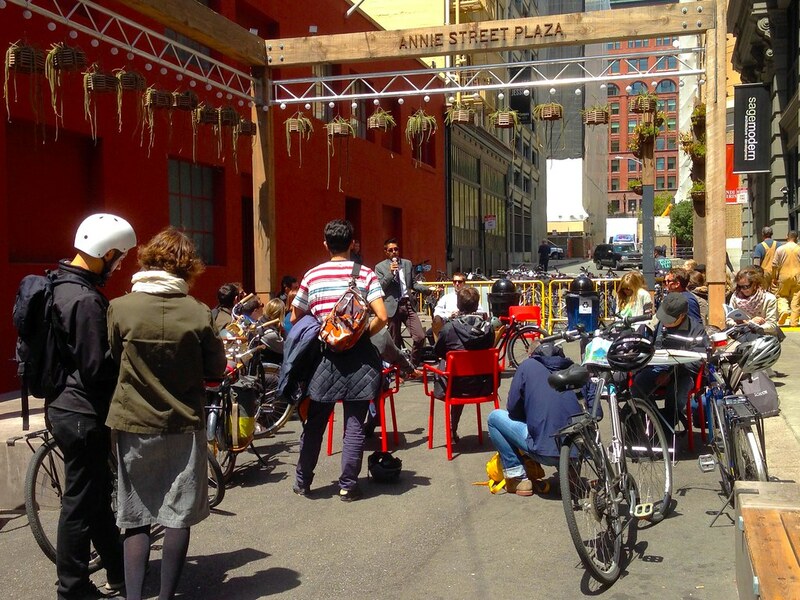 The Plaza made it safer for high volumes of pedestrians to travel from Market Street to Mission Street – where there are numerous museums, galleries, and other community institutions. 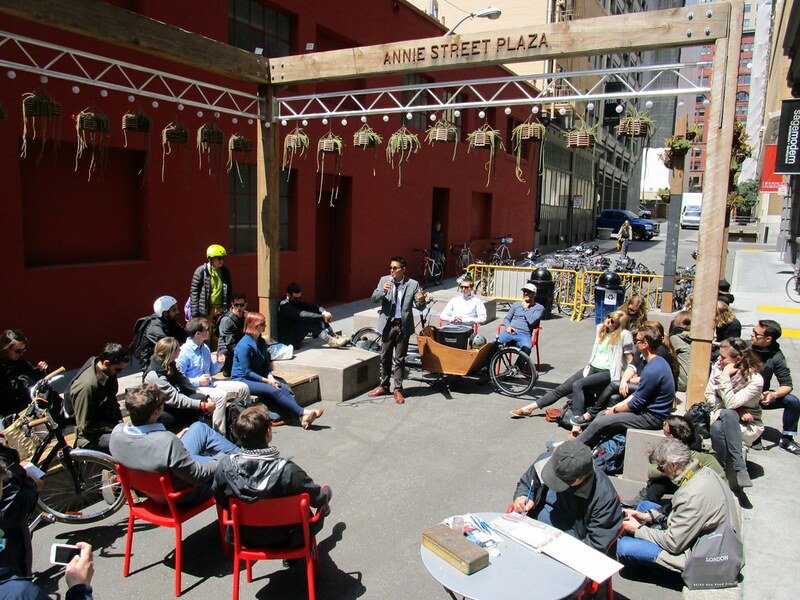 Seating, greenery, and lighting – along with programmed events and activities – formed a special place in the heart of a thriving neighborhood. 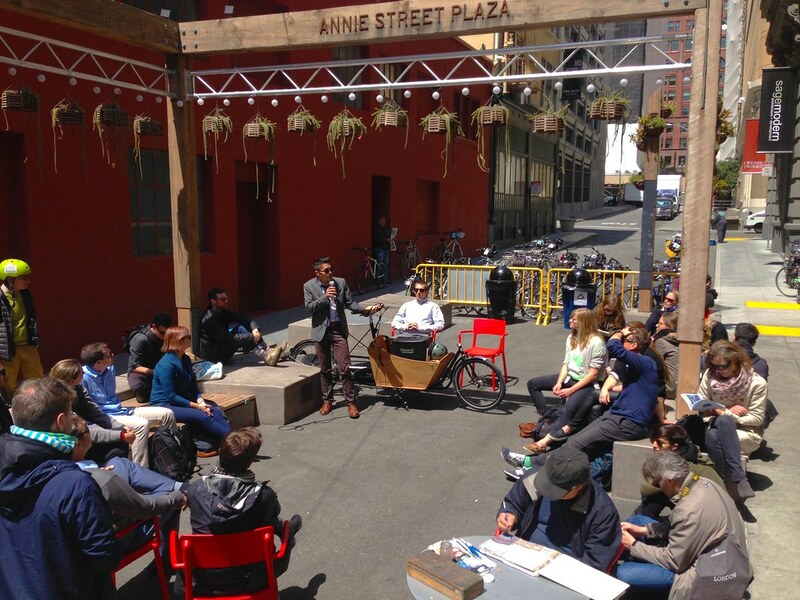 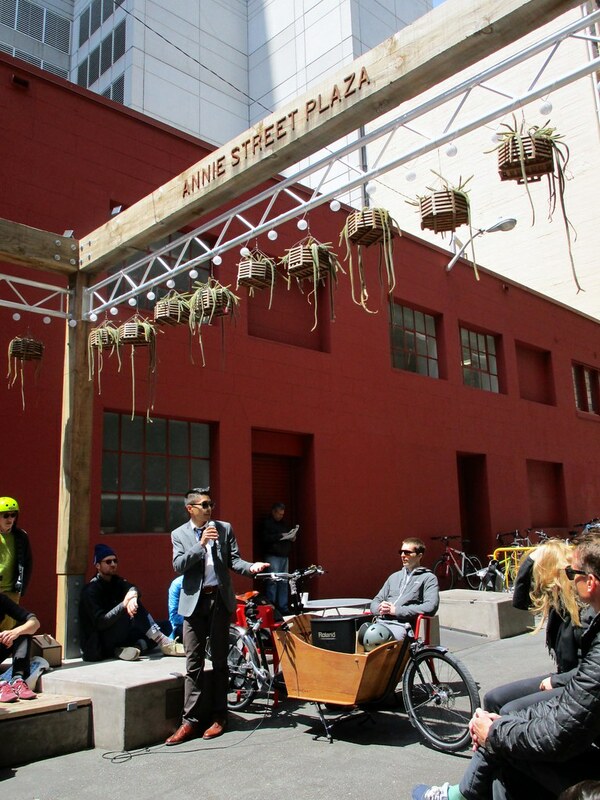 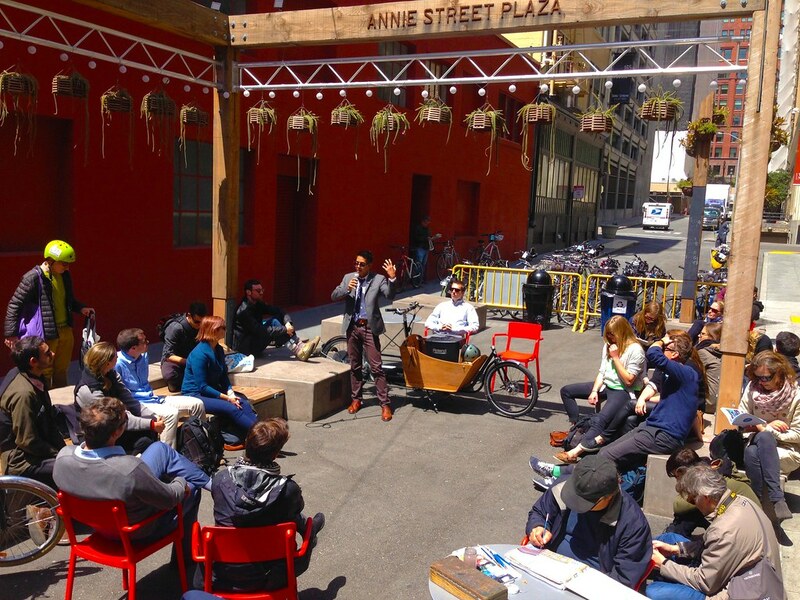 Annie Street Plaza was part of the YBCBD’s award-winning Yerba Buena Street Life Plan, a road map of more than 30 projects for enhancing public spaces in the neighborhood. 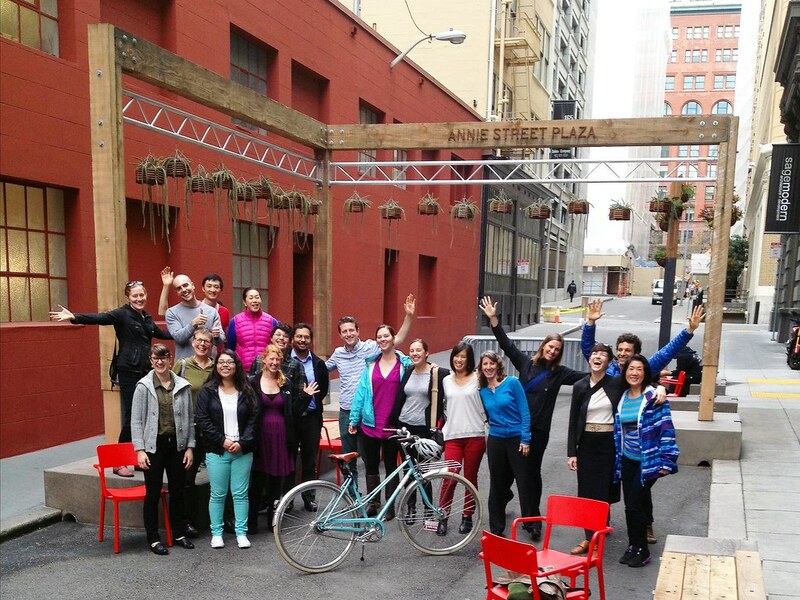 Past trial closures of the street were also a success. 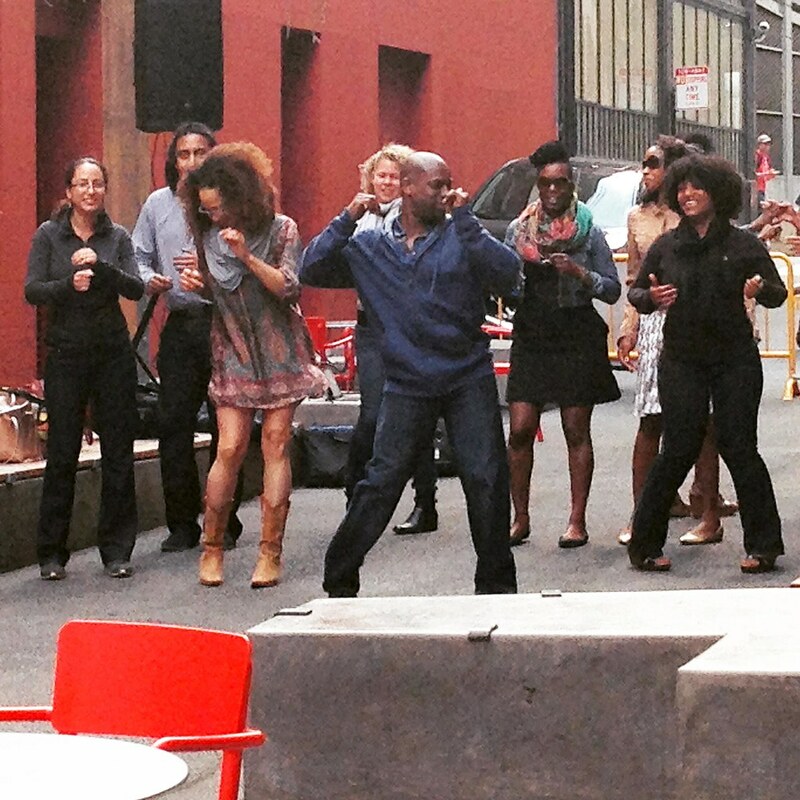 The location hosted dance performances, movies, festivals and luncheons — bringing people together in Yerba Buena and creating a sense of community. 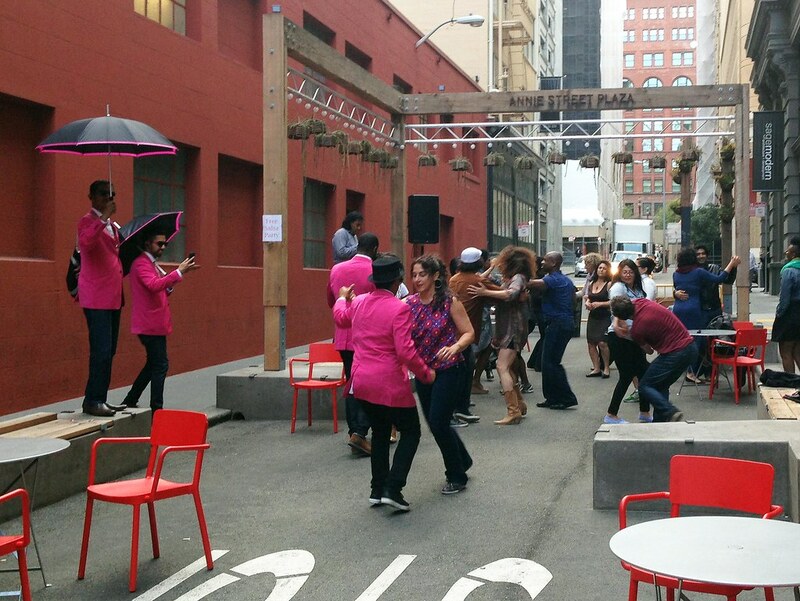 Throughout 2012 and 2013, Annie Alley was closed to traffic for events lasting up to one week. 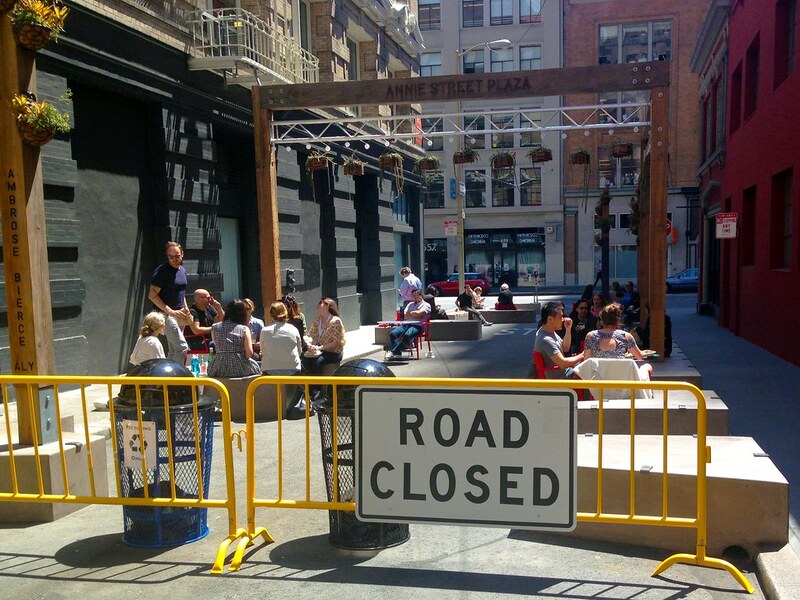 These closures demonstrated how the plaza could be successfully programmed if converted to a pedestrian-only space.